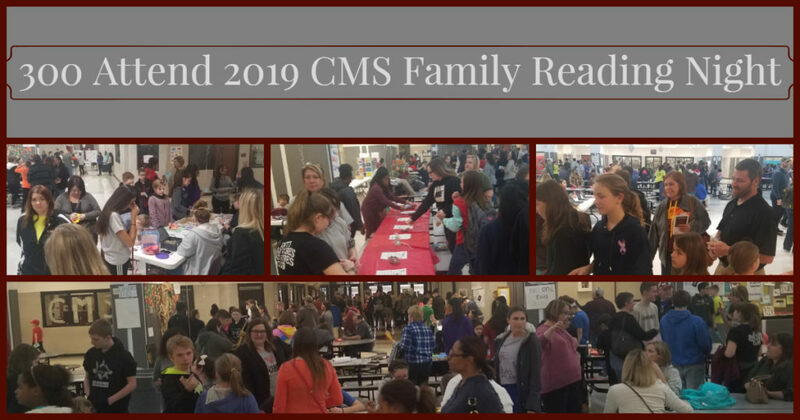 Collinsville Middle School welcomed 300 students and families to the 2019 CMS Annual Family Reading Night held on Tuesday, March 19, 2019. The night included activities, door prizes and a book fair — in addition to lots of reading and fun. The event was funded by a Schools and Community Outreach by Educators (SCORE) grant funded by the IEA Foundation of the Illinois Education Foundation.